The Synology DiskStation NAS DS218j 2-Bay (512MB RAM) 6TBis Network Attached NAS Storage device. It features a Marvell Armada 385 88F6820 32-bit Dual Core 1.3 GHz CPU and with 512MB RAM providing outstanding performance for those looking for a cost effective Network Storage option. This Synology DiskStation NAS DS218j is backed with Synology’s 2yr limited warranty. Out of the box this NAS can handle 2 x 3.5" hard drives / SSDs, giving it a maximum capacity of 32TB via 16TB drives. This Synology NAS includes the best Seagate hard drives to work with this box. The perfect foundation for building maximum density server to be run 24/7. Seagate NAS drives have been rigorously tested in high read and write Network Attached Storage Environments. This results in increased performance and efficiency within your DS218j NAS server device. Combining Synology DiskStation NAS DS218j and 2 Seagate hard disks will provide you with a solid, long term Storage solution. Combining Synology DiskStation NAS DS218j and 2 Seagate hard drives provide you compact but highly efficient Network-Attached Storage solution. Giving you the ability to share and distribute your media throughout the home and accross the internet, create Apple Time Machine backups, conduct Surveillance tasks and still furnish you with a strong Synchronisation system running in the background. LAN Network Port / Ethernet Port – Giving your Synology storage device to both send, receive and manipulate files over the internet. However that is just the tip of the iceberg. Via the connection of devices such as IP camera, mobile apps and other system tools, you can use multi-purpose applications for homes, small business and enterprises uses. You can have JBOD,RAID 0,RAID 1 set up on Synology DiskStation NAS DS218j. 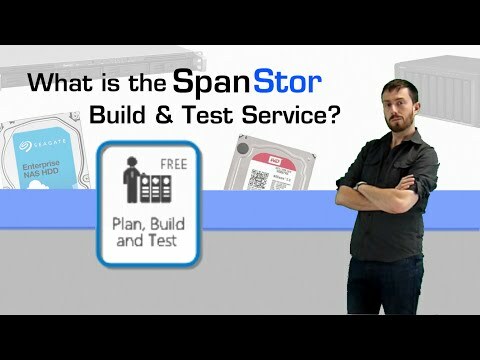 We offer our completely free and highly recommended SpanStor build service for your Synology 2-bay enclosure. We ensure that your Synology box and Seagate drives are in perfect working order before we send it out, at no additional cost. That's not all. We can install the latest Synology firmware or even construct a custom build from the ground up! Depending on the nature and complexity of the setup you request, this can take from a few minutes to a few hours, all done here at SPAN, thereby saving you time and money. 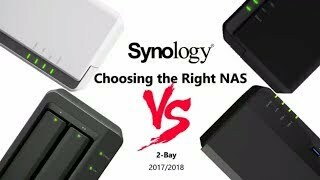 Possible RAID options for your Synology 2-bay box are explained below. JBOD- is a cost-effective network storage solution. If you have a lot of temporarily data to store, JBODs are an economical solution. Mind that the data is not critical or you have an effective backup scheme in place. JBOD is either a single or number of disks which are grouped together and presented to the Operating System as a single volume, called 'Spanning'. If you lose a single disk in the JBOD then you possibly will lose data, as the concept of a JBOD does not include not fault tolerance. RAID 0 is ideal for non-critical storage of data that have to be read/written at a high speed, such as on a video editing station or an image retouching. RAID 0 offers great performance, both in read and write operations. All storage capacity is used, there is no overhead. RAID 1 (mirrored drive) is ideal for critical storage, like accounting systems. It is also suitable for small servers in which only two data drives will be used (disc mirroring). It offers excellent read speed and a write-speed that is comparable to that of a single drive. In case a drive fails, data do not have to be rebuild, they just have to be copied to the replacement drive (mirroring hdd ). It can be used as back up mirror. If you buy this Synology DiskStation NAS and hard drives we do free build and test for the unit and hard drives. So you can use this device straight out of the box. All free of charge in DS218j price. do you have to purchase licenses for the software used to manage the NAS from multiple machines on the LAN? Very cheap NAS to get on the first step of the network storage. All data copied on two disks to ensure service reliability and data safety. I am running this DS218j as a very basic one camera NVR. Not needing anything that powerful to do that task, this cheap Synology is doing the job. My first attempt at a NAS just to store personal documents and music. Synology do really make this easy as I was nervous setting out. Cheap and cheerful. Using this as a basic small business storage device. Does the job with no bells ad no whistles but still does the job for basic data. Cheapest mirror drive with has some useful functionality! BOught this as a backup storage not really realising its potential. I am now accessing data across the web with the best of them! This is amazing solution for Sonos or alexa. NAS will do back up all laptops and phones and also serve as library for a Sonos smart speaker. No need to pay for a music subscription.